[En] We often find useless, losing necessary; gain seems to be lasting; chase away the past. Out of all this emerging story of each. AxelPolo and Phillipo Blake musicians from Russia, which are seemingly two different stories, but they are harmoniously woven together. Magnetic Brothers, Sergey Shemet, Project AN: TI, MassTek – in their remixes, they tell the same story, only from different sides. 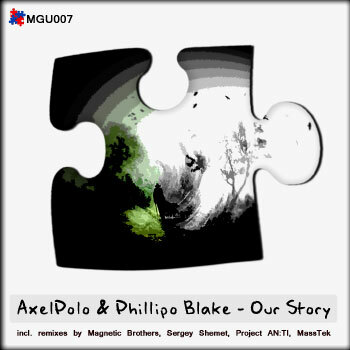 La description de l’album Our Story de Axelpolo and Phillipo Blake n’est pas disponible actuellement. Commentez cet album et gagnez des cartes de téléchargement gratuit et/ou des Ipods Apple.